People now spend more time on social media than in their email inbox. It's more important than ever before for a business to have a specific social plan to grow their social audience, promote their best content on social, and measure the effects of each effort. This actionable presentation will walk viewers through how to set up a social media lead generation program. 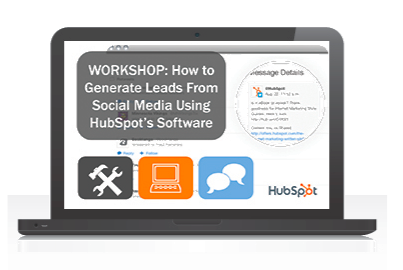 This on-demand webinar comes with a free 30-day trial of the HubSpot software that you can use to follow along in the workshop. Use it to start generating and tracking results for yourself instantly.